Negotiations that do not make anyone happy are usually considered the best ones. The reason is, as per classic game theory, if any one side is too happy with the outcome the other side is usually unhappy – which makes the outcome unlikely. Relative gains dictate that compromises are to be made and compromises make no one happy. Both sides give up something and there is palpable anger on every single side. The result is that practical people agree on the outcome and the negotiation stays on course. By that logic, Theresa May's Brexit deal is a stunning success – it made no one in Britain happy. The Conservative hard Brexiters are unhappy and consider it a sacrifice of sovereignty. The Labour Brexiters consider it a betrayal of the working class. The remainers of both the Labour and Conservative party thinks that it is a disaster. The negotiation, which took two whole years, and finally led to the majority of the European countries agreeing with Britain on the key issues, finally took shape as May unveiled her withdrawal plan. The deal between the European Union and the United Kingdom was stuck over a few key points. The chief among them was the Irish backstop. Northern Ireland is part of the United Kingdom, and that complicates factors as drawing up a hard border between the Republic of Ireland and Northern Ireland, as a border between EU and U.K., would reignite the sectarian conflicts which ceased in the early nineties. 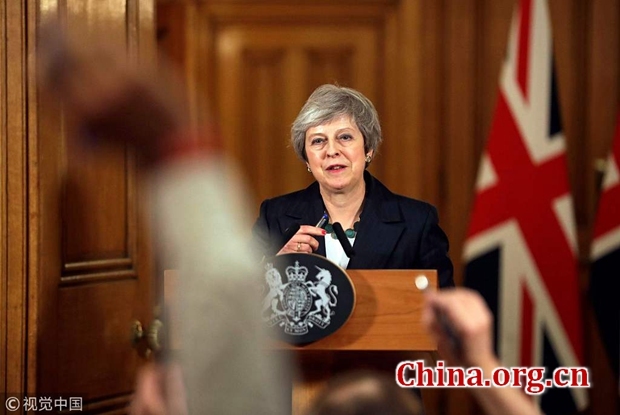 It was decided that there will be a backstop, and that the EU and the U.K. would have to jointly agree to come out of it if ever that situation arises. Essentially, it means in reality the Republic of Ireland has a say and veto on U.K.'s sovereign rights. On immigration, EU citizens, and Britons in EU, will be both able to move, work and stay and vice versa until 2020, and those who were in U.K. before Brexit, will be allowed to continue to stay and work with the option to take up residence in U.K. Securing the rights of the citizens and their medical guarantees were also achieved. As for the European court of justice, the U.K. would remain part of the ECJ jurisdiction, and overall, in disputes within the backstop, the ECJ interpretation of laws would prevail over U.K. courts. Nothing would change in trade, and transport, and the U.K. would retain policing and security arrangements with the EU. Science and energy research will continue, and education collaboration would also continue. London would remain the financial capital of Europe. And Europeans will be able to access healthcare in the U.K., as usual, although European students would lose funding for living. One can imagine, why Brexiters are unhappy. Because frankly, this isn't Brexit. Nothing is changing, other than U.K. getting back the control of immigration, post 2020. The overall relationship with the EU will remain exactly the same, and perhaps that is all for good. Order is better than chaos, and a No Deal Brexit would be catastrophic. This is, simply to say, the best of the worst options. The problem now facing May is trying to pass the necessary legislation through the U.K. parliament. The keyword she is trying to focus on is that this is in the national interest of the country. But she has a weak hand as she faces power struggles within her own party, and a Labour party unwilling to support knowing that they have a chance at governing in the future. The chances of the deal passing are still high. Ultimately, however, this is U.K.'s Versailles moment. With relative power one tenth of that of Europe as a whole, the U.K. has been forced to accept the deals which were already decided. The British elite never wanted to leave the European Union anyway, and they got their way as well. The United Kingdom isn't the British Empire, and it is understandable that the EU would have its own way. It also shows a fundamental truth, that the EU is imperial in character, and would impose its will on other powers and that will simply continue to increase. Frankly, Theresa May's deal isn't Brexit. It also shows a fundamental truth, that the EU is imperial in character, and would impose its will on other powers.